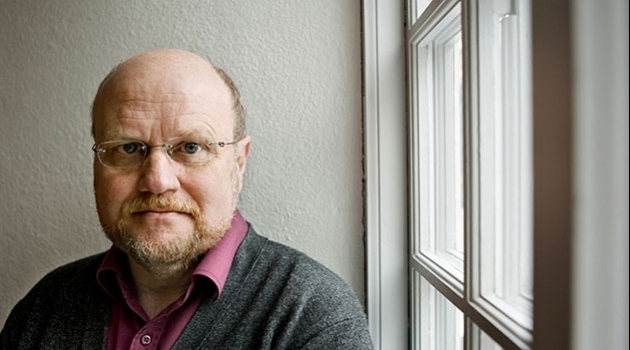 Ola Larsmo was awarded the prize for his work for human rights, in part through his involvement in the Swedish PEN Club, where he has brought attention to the difficult situations of writers in countries where protection of human rights is not guaranteed. As a writer and publicist, Ola Larsmo has demonstrated strong commitment to vulnerable and marginalised people in society, today and in the past. This is clearly evident in his many books, plays, opinion pieces and articles in leading newspapers. In his literary works, he has also explored issues pertaining to Uppsala and Uppsala University, such as the notorious meeting in Bollhuset in 1939. As chairman of the Swedish PEN club from 2009 to 2017, Larsmo brought attention to the difficult situation for writers of fiction and popular science in countries where protection of human rights is not guaranteed. The value of his efforts was confirmed when he was elected as a director of PEN International in September 2018. Ola Larsmo studied humanities at Uppsala University and has worked with researchers and teachers at the University on several occasions. In the autumn of 2017, he was awarded an honorary doctorate by the Faculty of History and Philosophy at Uppsala University, in part because he in his work follows his “unfailing moral compass” – a strength in the work to promote human rights. The prize was instituted in 2003 celebration of the 80th birthday of former Vice-Chancellor Martin Henriksson Holmdahl and since his death is awarded in his memory. The 2018 prize of SEK 25,000 will be awarded at the Winter Conferment Ceremony on 25 January 2019. The prize is to be awarded to employees or students at the University, individually or in groups, or to an alumnus with a clear connection to the work of the University, who have worked to promote human rights and liberty. Nominations are submitted by University faculties, departments and students. Read more about the Martin Henriksson Holmdahl Prize.